The Elias Funeral Home is sensitive to the needs and traditions of many religions, and will carry them out faithfully and respectfully. Of course, you are always free to choose a non-traditional ceremony as well. Traditional or Non-Traditional Funeral Services...these can be personalized and tailored in any way you wish, essentially limited only by your imagination. Remember, we consider a funeral to be a “celebration” of a life lived, therefore we will make every effort to accomodate any ideas you have and won’t deny any request within reason. Cremations...today, cremation can be done with as many or as few rites and ceremonies you wish, or none at all. With the use of a “rental” ceremonial casket, you can still have a traditional funeral service with a viewing, while choosing cremation as a form of final disposition. All Faiths are Welcome. Mr. Elias is well experienced working with the funeral traditions of almost every faith. It is his responsibility to keep informed and be knowledgable about each different religion’s funeral customs, and he takes this very seriously. Pre-Arranging...For peace of mind, sheltering assets, and relieving your loved ones of making difficult decisions, we offer pre-arrangement of funeral and cremation services. 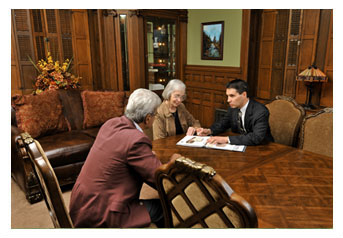 You can choose ahead of time all the details of your final arrangements. Right down to the most specific details, everything will be saved for you in our files. With a variety of pre-payment options, your selections will be paid for at today’s prices and guaranteed. If you prefer, just make your selections and we will keep everything on file for you even without payment. Green and eco-friendly options. Going green means taking a new ecologically friendly approach to death and funerals. While there are few “green” cemeteries in the U.S., we can still recommend ways to have less of an impact on our environment where funerals are concerned. Some options are biodegradable caskets, urns, preservation without embalming, and even avoiding steel and concrete tombs altogether. For us, it also means using “green” and eco-friendly cleaning products for our disinfecting and sanitizing procedures. Live piano music. 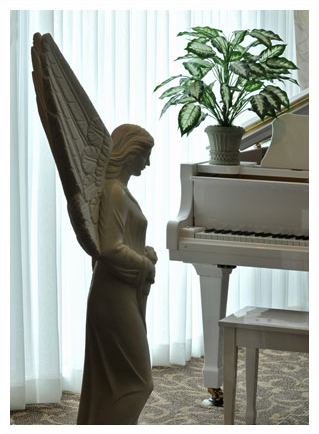 This unique option is available with appropriate music played on a grand piano for visitation periods. Mr. Elias, an accomplished pianist and church organist for over 38 years, is proud to offer this service.